This connector is for connecting Power Supplies. | eBay! It's not hard to find with the right name. these seem to be 'Mini MATE-N-LOK'. > This connector is for connecting Power Supplies. | eBay! Oh oh... sorry about that. Good to know, thanks Christian! It does seem that there's not enough documentation on the connectors and misc parts that make up our commodores. > It's not hard to find with the right name. 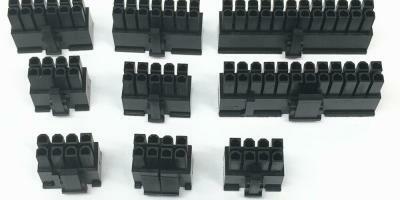 > these seem to be 'Mini MATE-N-LOK'. Yup - these are the smaller ones, commonly used for 12V supply to GFX cards.